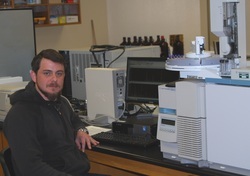 Ty graduated from Midwestern State University and is currently in his fourth year pursuing a doctoral degree in Biology. 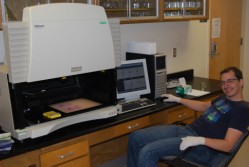 Ty's research involves using zebrafish (Danio rerio) and a variety of commonly occurring reference environmental contaminants to study their effects on a variety of biological and molecular endpoints. 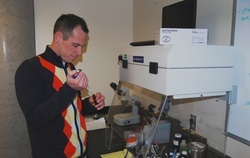 Ty utilizes developmental/morphological, behavioral, reactive oxygen species, transcriptomic, and metabolomics techniques in his research. ﻿Moon Young came to the United States in 2001. She graduated from University of Texas at Austin with Bachelor of Science in Biochemistry. 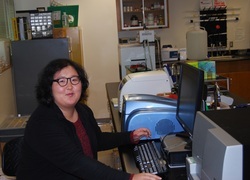 She’s currently studying GC-MS based metabolomics to evaluate tumorigenic chemicals, cadmium and 12-O-tetradecanoylphorbol-13-acetate, induce specific metabolic changes in the planarian model﻿.